Oregon was home to at least 137 wolves in 2018, a 10 percent increase from the previous year, according to the state’s annual wolf report released Monday by the Oregon Department of Fish and Wildlife. Those 137 wolves were organized into at least 16 packs, up from a dozen in 2017, the agency said. 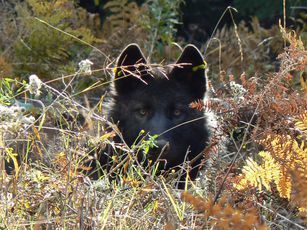 “The state’s wolf population continues to grow and expand its range, now into the central Oregon Cascade Mountains too,” state wolf coordinator Roblyn Brown said in a statement. 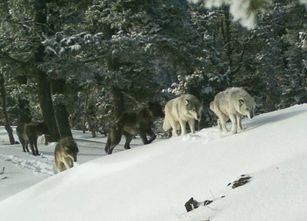 Wolves began populating new areas, too, the agency said, with the White River Pack being declared a breeding pair after successfully reproducing in Western Oregon. In the Umpqua National Forest, a group of at least three wolves received the formal name of the Indigo Group. Two wolves were illegally killed in the state in 2018, down from four the year before. Livestock losses went up, with 28 incidents confirmed to be the work of wolves, up from 17 in 2017. “While known wolf numbers have increased considerably over the last nine years, depredations and livestock losses have not increased at the same rate,” the agency said. In 2017, wildlife managers reported that there were, at minimum, 124 wolves in 12 known packs, an 11 percent increase from 2016. Where they live, how many there are and how they are managed in different parts of the state. 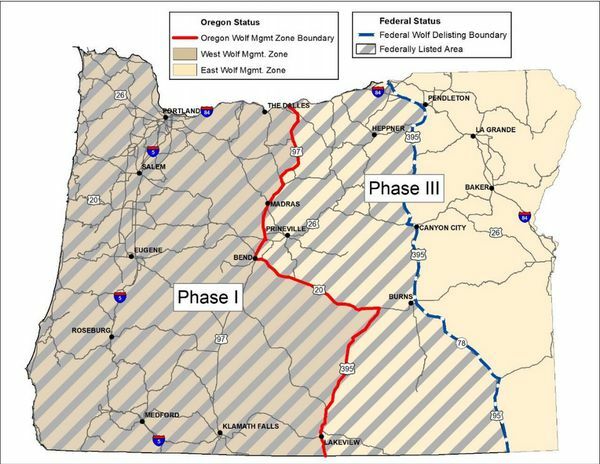 “As the wolf population has expanded into new areas in Oregon, livestock producers have adjusted the way they do business to remove bone piles and incorporate non-lethal measures that can reduce the vulnerability of their livestock to depredation by wolves and other predators,” Brown added. As the yearly tally comes in, wildlife managers are still working on the state’s long-delayed wolf management plan, the document that governs when and where wolves can be killed in the state after being deemed chronic threats to livestock. East of Highways 395/78/95, wolves are managed under Phase III of the current wolf management plan, which allows for killing wolves that repeated attack livestock, under certain situations. Wolves, for now at least, are under federal endangered species protections in the western half of the state. Acting Interior Secretary David Bernhardt announced in March a proposal to strip endangered species protections from wolves nationwide. The main sticking points in past negotiations have come over when and how lethal action can be taken against wolves that kill livestock. Despite their absence, the state planned to hold a vote on the draft plan in March, but the vote was pushed back “to allow everyone more time to review the Plan and Commissioners more time to talk with constituents,” according to the agency. The agency said it would present a draft of the revised plan to the Fish and Wildlife Commission at their April 19 meeting in St Helens.